Steel is a favoured building material among homeowners, business people, architects and interior designers — and for a good reason. It gives the space urban elements while maintaining a warm and cosy atmosphere. Sturdy and sleek, steel has a universal appeal - from urban modern to rustic interior designs, steel’s versatility knows no limits. These great features drive the popularity of steel staircases in the country, and Ackworth House has experienced its demand first-hand. We have been the go-to company for staircases made of steel — those that exhibit a modern flair and extreme durability. Our steel stairwells are some of the most well-liked products from our selection. 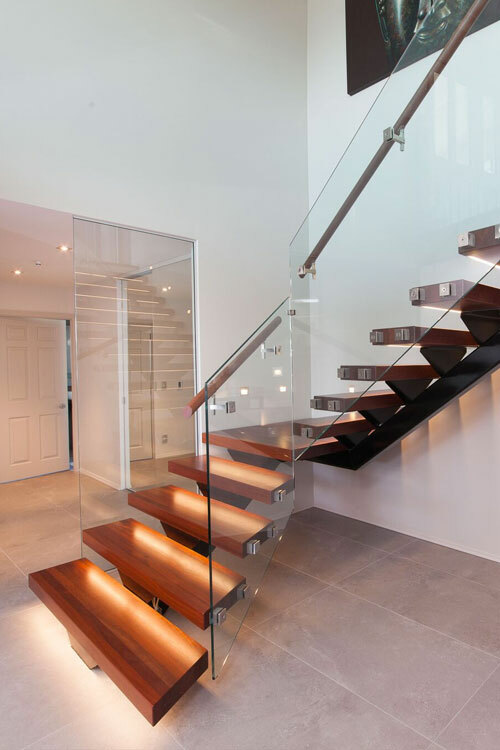 An understated style is one of the main features that draw our clients to steel staircases. The building material’s ability to be shaped into whatever design you desire, makes it the preferred material in homes and commercial establishments. Interior designers often favour the material because it is a staple in high-end contemporary homes. Its versatility makes it a sophisticated addition to an otherwise bland space. Floating steel staircases, in particular, give the room a sense of fluidity and ease the stiffness of angled structures. They have a clean, minimalist look that’s in vogue with the latest interior design trends. Steel, by nature, is a strong material. More builders are choosing steel in their projects as it is a durable and renewable material that does not lose its quality over time. You can rest assured that you’ll get many years of service from installing steel stair treads in your home or business establishment. You won’t need to worry that heavy foot traffic day in and day out will damage the treads; they’re resistant to wear and require little to no maintenance. Moreover, our stairs can carry considerable weight for a long period. Unlike other materials, steel can endure a significant amount of weight without the threat of bending or breaking. Even if you go with concrete treads on steel stringer stairs, you can trust that our stairs are strong enough to withstand heavy loads. If you prefer to have timber or concrete step treads but still want to incorporate steel into the design, we can build your stairs with steel stringers for a cohesive look. Pairing these materials with steel gives your staircase design added depth and a modernity that cannot be achieved with stringers made of different materials. Steel has become a popular building material for architects and interior designers because of its versatility and inherent ability to blend in with any design. Moreover, its strength and durability allows it to withstand weight over the course of time. 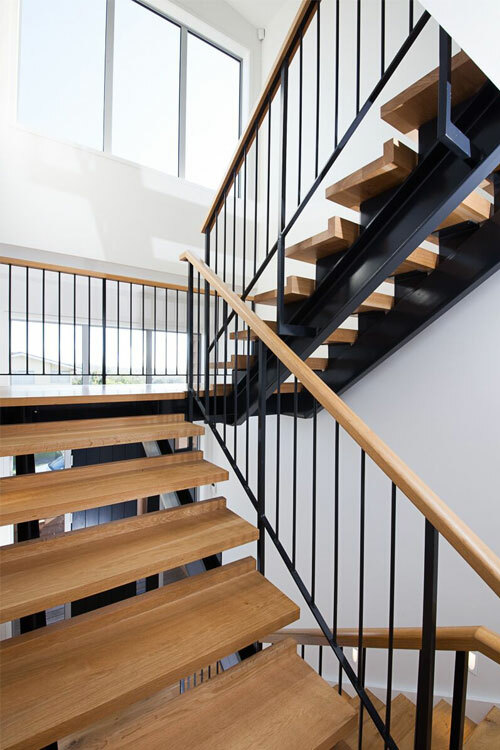 For decades, Ackworth House has designed, manufactured and installed many steel staircases for homeowners and commercial establishments from Auckland to Whangarei and everywhere else in New Zealand. Our years of experience allow us to offer structures made from the high-quality steel. Our projects exhibit superior workmanship that has left countless clients satisfied. Our showroom features various styles of staircases – from conventional stairs to floating staircases, we have a wide selection of designs for you to choose from. We install durable stairs with steel stringers (you can choose from our Centrum, Lateralis, Suspendo, Serratus or Dualis models). You can also match it with timber, steel or concrete treads. Additionally, we attach handrails and balustrades for your chosen stairwell. 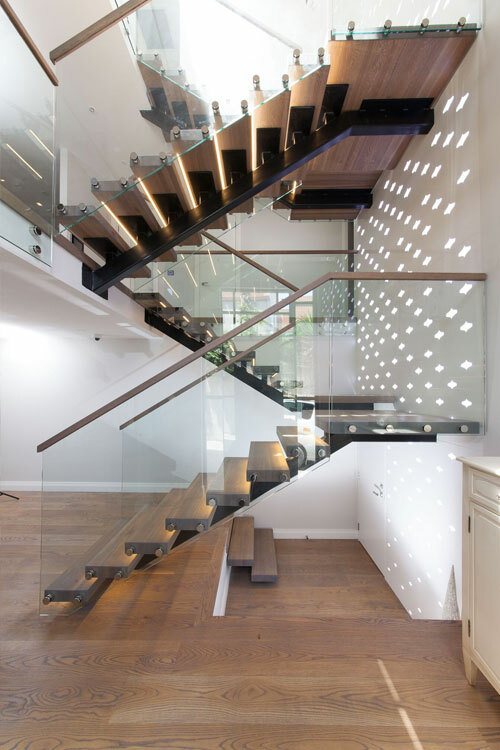 Achieve a contemporary and elegant space with our steel staircases. Contact us for enquiries.